Scannicchio’s at Broad and Porter in South Philadelphia is a dependable BYOB not far from the Sports Complex. 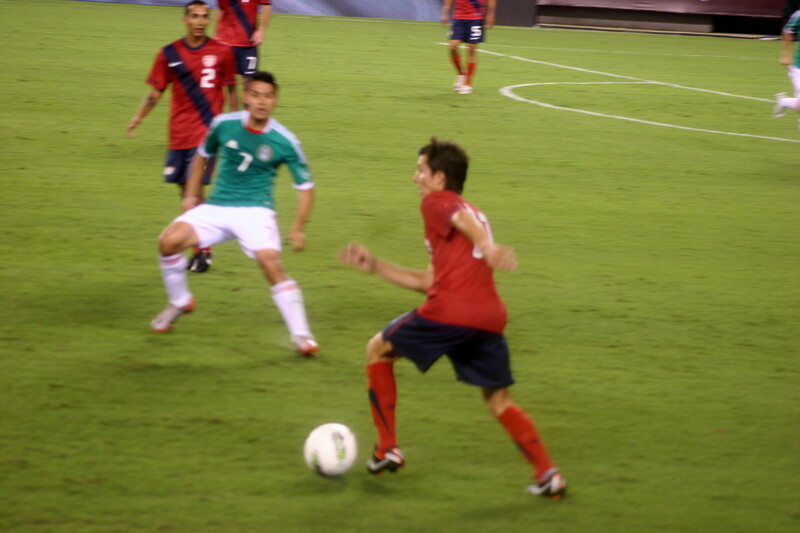 My sons and I had tickets to the USA – Mexico soccer match at Lincoln Financial Field on a warm summer evening and decides to have dinner there prior to the game. I provided the wine for the evening. 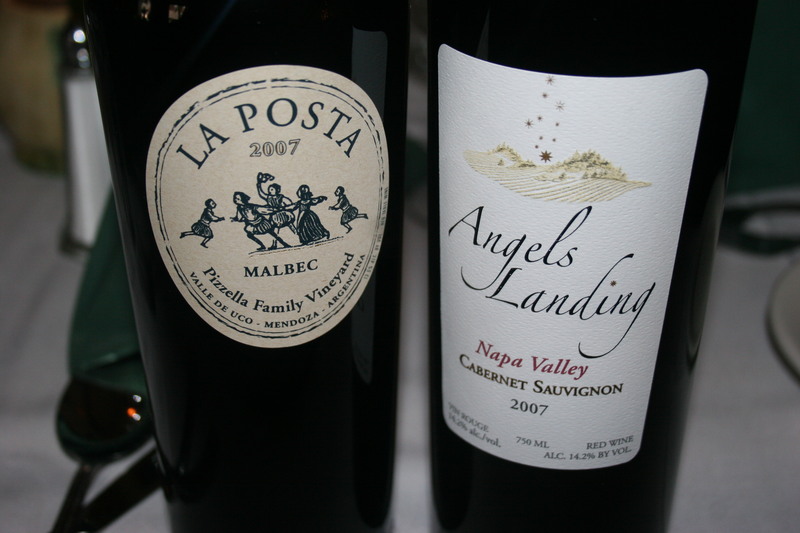 A 2007 La Posta, Pizzella Family Vineyard, Malbec, Argentina and a 2007 Angels Landing Cabernet Sauvignon. Both of these dark reds proved complimentary to the hearty Italian food. 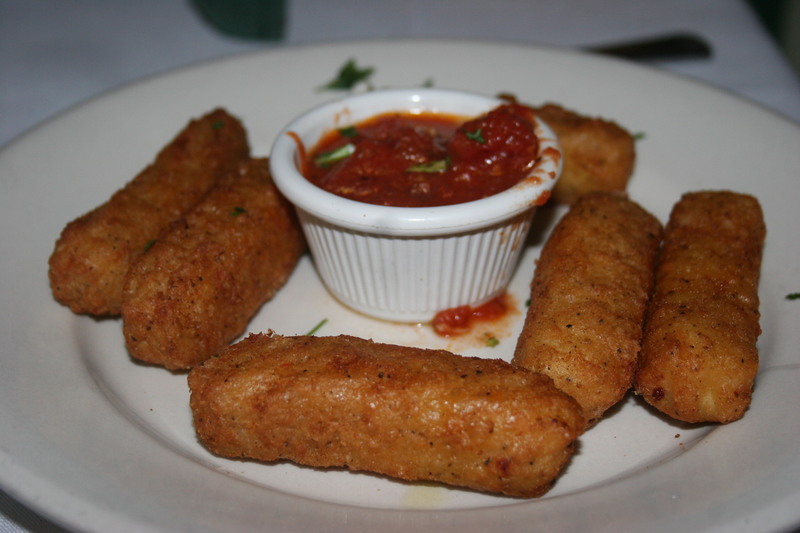 My sons, Frank and Brian started off their meal with Mozzarella Fritta. I would have to consider them as experts on fried mozzarella as they seem to choose if for many of their meals. They both declared this one to be exceptional with a nice coating and a quality cheese that held together well. 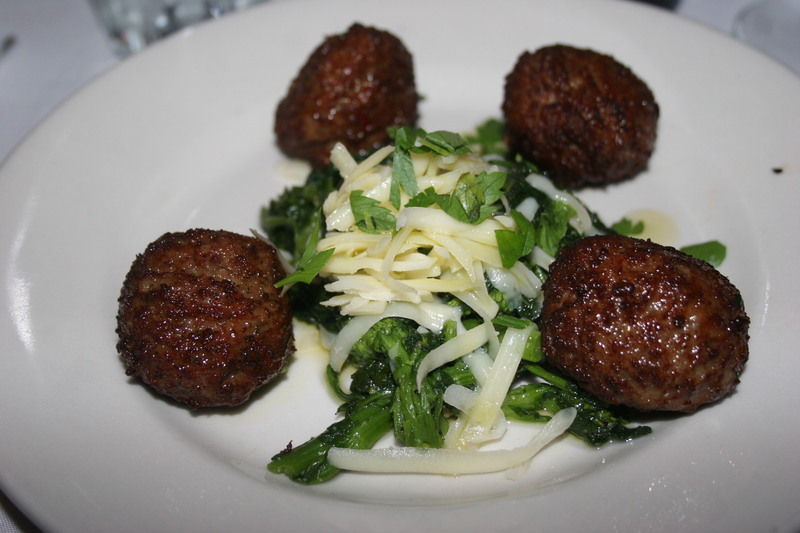 I began with a plate of tasty home-made meatballs served with broccoli rabe. The meatballs were delicious and proved to be the perfect appetizer. 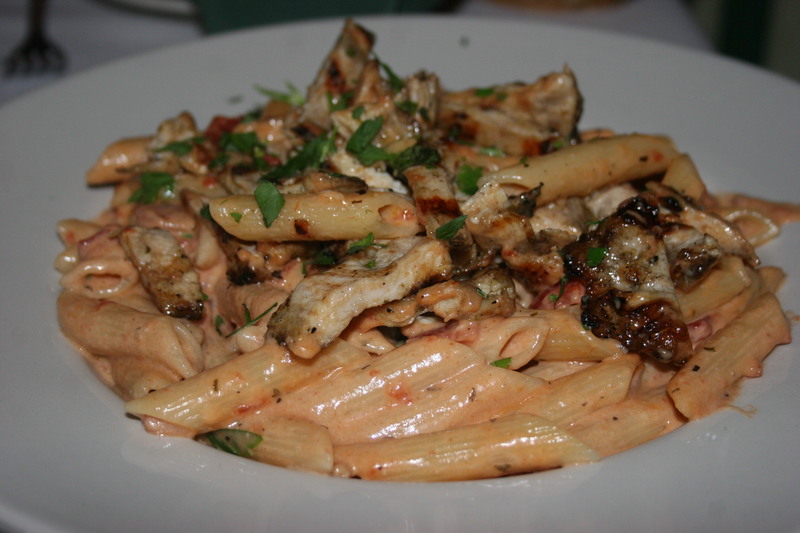 Brian selected the Penne Alla Vodka with Chicken. He thought it was terrific. 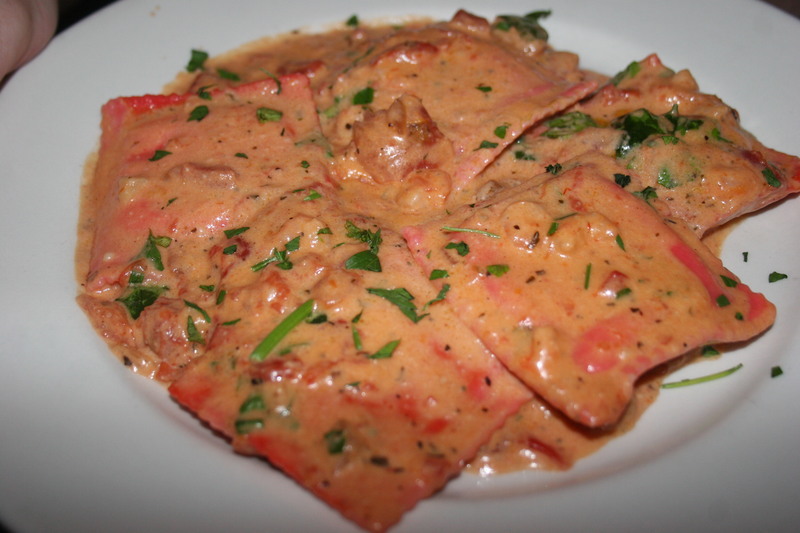 Frank loved his Lobster Ravioli in a Rosa Vodka sauce. 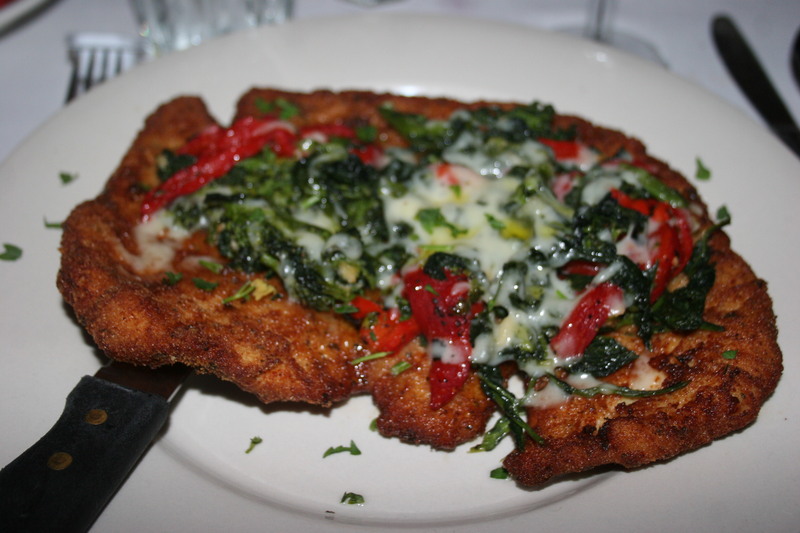 I was not disappointed at all in my choice of the Pollo Alla Milanese Italiano, breaded chicken cutlet topped with broccoli rabe, roasted peppers and sharp provolone. I can’t remember if I attempted to take some home but I do know the portion was large enough for two meals. Having filled our stomachs with a hearty meal it was off to the stadium to watch the USA score a second half goal and ear a 1 – 1 tie with Mexico.